It dawned on me recently that the majority of the people I know in the tech industry wear glasses or contact lenses. Is this just a fancy trend or do my colleagues and friends genuinely need to combat poor eyesight? I decided to get a clearer vision of this problem by doing a bit of research. It turns out we humans spend so much of our day staring at computer screens that we no longer give our eyes a proper workout. Our eye is just like a muscle, and if it isn’t trained properly in early life it can never fully develop. However this problem can be easily solved thanks to the wonders of modern science: we’ll blast your eye with a laser or provide you with some fashioned sheets of glass in a metal frame to help bend the light into your eyes. 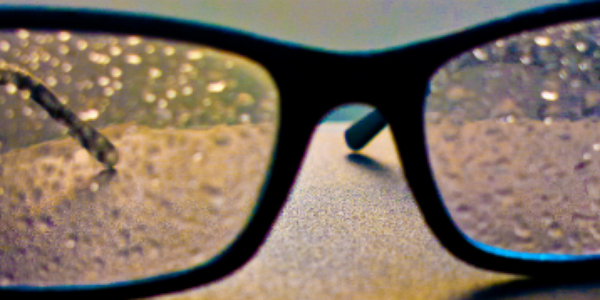 But none-the-less: the digital age is making our eyesight worse. But there is another symptom creeping into our daily lives that isn’t so easily fixed. It doesn’t manifest itself so obviously, but it is becoming more and more commonly diagnosed as we become more and more native to the digital world. The symptom is depression. I’d like to explain some of the experiences I’ve had that has led me to believe that the digital age is making it far easier to develop the negative emotions that can lead to depression. At university I wrote an essay titled “The perceived happiness of others through social networks”. It was my attempt at studying how websites like Facebook and Twitter affect our moods. These sites are built so that we might share happy thoughts, fond memories, and pictures of treasured moments. Just look at Facebook’s own photo stream for evidence of this happy world. We’re not encouraged to share negative thoughts or upset others as they’re not things Facebook want associated with their website. There are websites such as Reddit and 4Chan where negative opinions are arguments occur, but we rarely share a relationship with the other users on those websites and I think that makes them far less personal and easier to ignore. An unintended side effect of these social networks is that it creates a biased view of how others live their life. Whether we do it consciously or not, we’re comparing our entire life to a small portion of the lives we see on social networks and we ask ourselves why we’re not as happy. Anxiety and fear hit us like a brick when we see photos of our crush out with another person. How terrible does it feel when you have to change your relationship status on Facebook? For some that act is a final act of self acceptance after a tough break up. Admit it: you’ve felt tingles of guilt when you’ve been browsing late at night. Depression isn’t a new disease. The digital age is not the only cause. However this apparent ease of accessibility to negative thoughts and feelings has made it much easier for people to encounter triggers that can add to the development of depression. Quite a few news websites have been reporting on this for the last few years: The Newyorker has written about how Facebook makes us lonely. The Times discovered that a surprising number of people have a negative experience when using Facebook because they often compare themselves to their peers. Let me tell you about a story much closer to home. The article you’re reading was published on the 18th of March. On this day in 1987; my cousin Jason was born. Jason suffered with depression throughout his life. His solution to fixing it, despite being the easiest for him, wasn’t the most effective for us; his family. Suicide is a disgusting solution that doesn’t need to happen. At the end of last year I contemplated a similar solution myself, despite the shock that Jason’s death had caused me. Sometimes when you’re in that mindset it seems like the only viable option. I distinctly remember Jason being worried about the activities of his friends and close ones on social networks, to the point where he looked physically distressed when someone commented on his partner’s pictures. I’d always tell him to cheer up, not to take things so seriously, and that it’s impossible to accurately judge things online. It was only until later on that I saw social media being part of the triggers that led to him developing his anxiety, depression and ultimately his death. After seeing it happen to Jason, myself, and studying it; it is clear to me that a symptom of the digital age is minor to mild depression*. Virtual substitutes have replaced the physical act of social interaction. So far the replacements have failed to deliver the same experience that our brain needs to keep us happy and it skews our vision of how people live their life. It used to be taboo to talk about depression. One benefit of the digital age means discussing this is becoming far more common and acceptable. I discuss my own depression as openly as I would the latest news and I’d encourage you to do the same. Making it a commonly discussed issue will greatly benefit those who are worried about how they’re feeling. We shouldn’t have to “come out” to our families that we’re depressed and in need of help. For the readers who are feeling this way: don’t be ashamed to ask for help. You are no different from anyone else. In the past six months I’ve benefitted greatly from the support of my family, my doctor and my own will to fix myself. Right now I’m having the time of my life. Depression does not last and with the correct support network it’s bloody easy to beat!